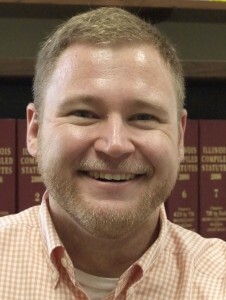 CHICAGO (January 9, 2015) – Michael Ziri, a veteran in legislative affairs and a Springfield elected official, is the new Director of Public Policy at Equality Illinois, the state’s oldest and largest advocacy organization for lesbian, gay, bisexual and transgender Illinoisans, the organization announced Friday. Ziri will spearhead an aggressive legislative agenda in Springfield, build and strengthen relationships with officials and political leaders throughout the state and in Washington, D.C., and develop policy initiatives. He will also staff the election-related activities of the Equality Illinois Political Action Committee. The organization also named Sara Jo Malinske, an experienced fundraiser and event planner, to the Equality Illinois development team. Ziri brings to Equality Illinois seven years of experience working for Illinois state government, capped by his current position as the Director of Legislative Affairs for the Illinois Environmental Protection Agency. His previous positions included legislative liaison for the Illinois Department of Natural Resources, legislative analyst for the governor’s office, and legal assistant for the EPA. He is also serving his second term as Trustee of the Springfield Metropolitan Exposition and Auditorium Authority, which he will be leaving shortly after joining Equality Illinois. In that position, Ziri was the first openly gay elected official in Sangamon County. “We are extremely pleased to welcome Mike to our Equality Illinois team of professionals. He brings with him a wealth of experience implementing a legislative agenda, building connections with lawmakers, legislative staff and executive agencies, engaging in electoral campaigns–including running his own–and building coalitions around policy priorities,” said Bernard Cherkasov, CEO of Equality Illinois. A native of Springfield, Ziri, 32, earned his bachelor’s degree at Illinois College in Jacksonville and his master’s degree at the University of Illinois Springfield. 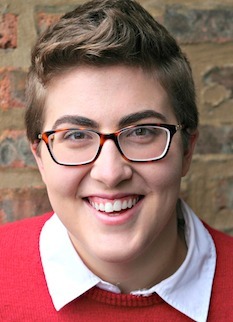 Prior to joining Equality Illinois, Malinske most recently worked at The Harbour, in Park Ridge, Illinois, which provides emergency shelter and transitional housing for homeless youth. Raised in central New Jersey, Malinske, 23, earned her bachelor’s degree at James Madison University in Harrisonburg, Virginia. She also spent 8 months in Nanyuki, Kenya doing communications work for a nonprofit secondary school for girls. She will report to Equality Illinois Director of Development Michael Nordman. “I am thrilled to bring the skills and insights that I have gained through my experiences working with various aspects of development and in diverse regions around the country and the world to support the important work of Equality Illinois,” Malinske said.